Knowing how to hire a contractor who is either an expert ADA contractor or who is very knowledgeable in accessibility construction is very important for a successful disability project. Knowing how to hire a contractor is necessary, especially for those who don't have much knowledge about home construction projects. important disability guidelines that are outlined in ADA bathroom requirements and that are suggested for residential use. 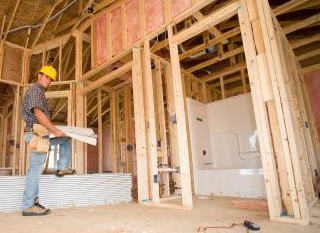 The very best option for a building or bathroom remodeling contractor, is to find one who is experienced and expert in universal bathroom design, aging in place home construction, or accessible housing modalities. Finding a contractor is not as difficult as understanding how to hire a contractor that is perfect for your project. Here are some helpful guidelines that you can rely on when going through the process of hiring a handicap accessibility contractor. After you have listed your requirements for your disabled bathroom project, start with the top 3 accessibility contractors that interest you most. Provide them with a copy of your project requirements and then request a bid from each one. Remember, just because a bid is lower, doesn't mean you have found the best contractor. Unfortunately, surveys show that often choosing the lowest bidder results in the poorest work. Range of services offered such as design, etc. You will have to decide, if going with a general building contractor, whether you want to hire all the sub-contractors yourself, or allow the contractor to handle the subsequent hiring. This is often handled by them and is included on the above checklist issues. and then hire all the sub-contractors yourself. This will allow you to select people you know and will give you more hands on control, rather than simply be subject to a builder's group of subs that he typically uses. It's really up to you, but this has proven to be an effective strategy for many homeowners. One of the best ways to know that you're going to get a terrific job done on your project, is to hire a a professional that you have used in the past, or that you know from a job around town. It's easy to see their work, know how they operate, and be aware of their character and work ethic. what you want or need in the way of design, materials and handicapped bathroom accessories for disabled bathrooms. Even though you may know the contractor that you hire, it always pays to get a complete contract up front. Things can happen that will alter even the way a reputable contractor may generally handle things. Never take for granted that things will work out well, simply because you are friends or because you trust him. Contracts protect both you and the contractor, and ensure a job well done. At the least, you are protected in case of unforeseen negative circumstances. This also helps you and the contractor to stick with your original plans, unless you negotiate something else. It also helps to keep you both on track with expenditures. An easy way to get a receipt of the labor and materials used, is to always pay by check. Never pay by cash, even if you trust the hired contractor. Always pay directly to the building company, rather than an individual. A common requirement for contractors is that the homeowner provides generally 30% of the projected costs up front as a down payment when the project begins. Also, reserve the right to make final payment until you are totally satisfied with the complete project. A professional, reputable building contractor will not try to force you to make final payment until they are sure you are happy with their work. Following these simple guidelines about how to hire a contractor can save you time, money and headaches, so be sure to get a game plan before you start your next accessible bathroom project.